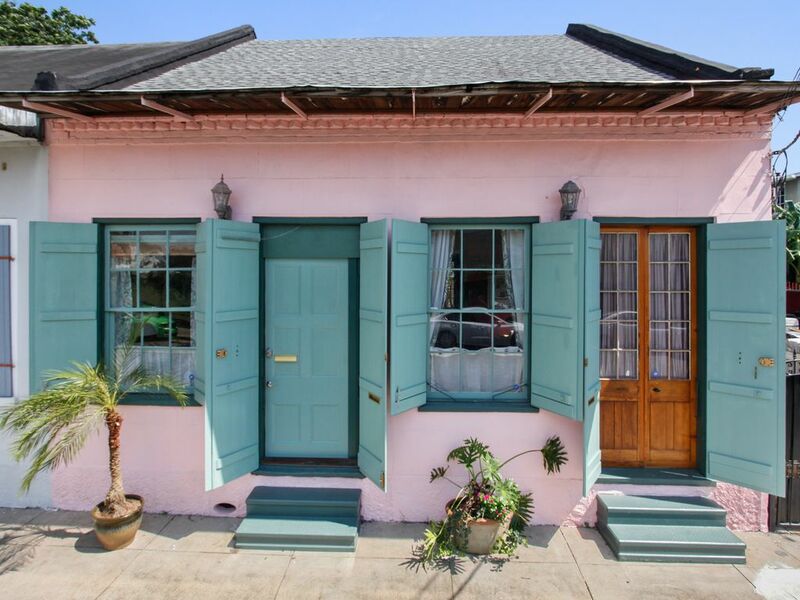 Detailed renovation of authentic 1840's Creole Cottage, one block off Rampart Street and the entrance to the French Quarter, adjacent to Armstrong Park and famous Congo Square. Quiet serenity awaits in your lush tropical courtyard as you slip out the rear door with coffee or cocktail in hand, before you cross the street and enter the French Quarter for a day of sightseeing and shopping or an evening of being entertained in true New Orleans fashion. Lovely spot with private outdoor area! Eric was a wonderful host! The cottage is adorable. Close to everything and yet quiet. Took walks to fine dining and jazz clubs. We were in for a conference and this was the perfect escape at the end of long workdays. We cannot say enough good things about Eric or the cottage. He was exceptional from beginning to end. If you want to experience NOLA living, but have a quiet outdoor retreat as well, this is the place for you. Thank you, Eric! The house was neat, clean and within walking distance of the French Quarter (12 blocks of walking was the distance to most of it and the tourist section) We made good use of the courtyard - had coffee in the morning, glass of wine in the evenings. Only drawback was the dogs that are 2 houses away. They bark at all times of the morning and evening - whenever the owner is away. Fantastic host, cottage, and location! Eric is an incredible host. He responds to questions at lightening speed and goes above and beyond to ensure the comfort of his guests. The cottage is lovely, well-kept, and has everything you'd need for a relaxing stay. It's also conveniently located: just a quick walk to the center of the Quarter and tucked inside an authentic neighborhood (the nearby restaurant/bar Buffa's offers some incredible local music). The entire experience was top-notch. We give Eric and his cottage our highest recommendation! My husband and I stayed here for our 15th Wedding Anniversary and we had an amazing time! Eric had everything ready for us and it was easy access to all the restaurants and bars. We rented a car and had a place to park right in front of the house. The accommodations were fantastic! We will be back for sure! Great little place close to everything! The place was perfect for my husband and I. Having the full kitchen was really nice. The house is close to everything as well. Having a parking on the same street for no charge was really great too. My only complaint (and this has nothing to do with the owner) is the dogs down the road would bark constantly starting at about 7:00am until about 9:00pm. So if you plan to spend any time in the house be aware of that.